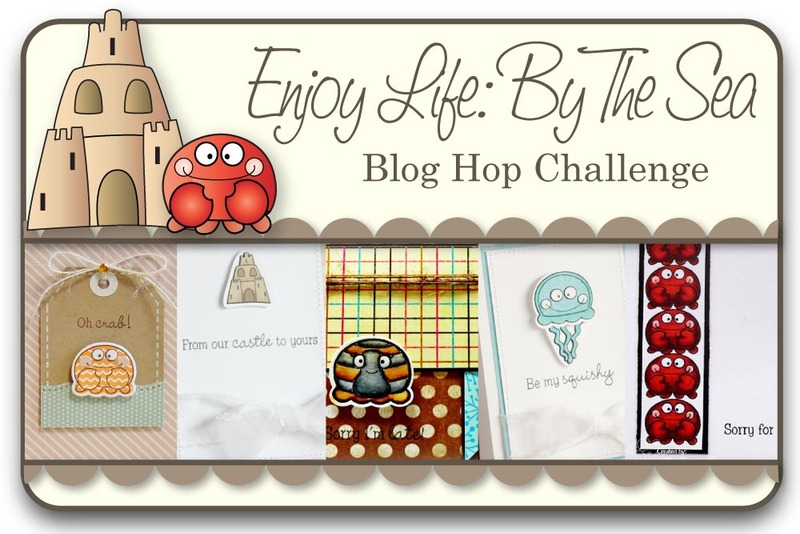 This week's challenge over at the TSG blog is brought to us by Kim T.! 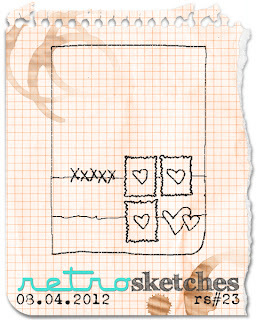 She has challenged us to make a card or project using the sketch below!! The image is from Pumpkins On the Vine and the sentiment is from Hauntingly Delightful. 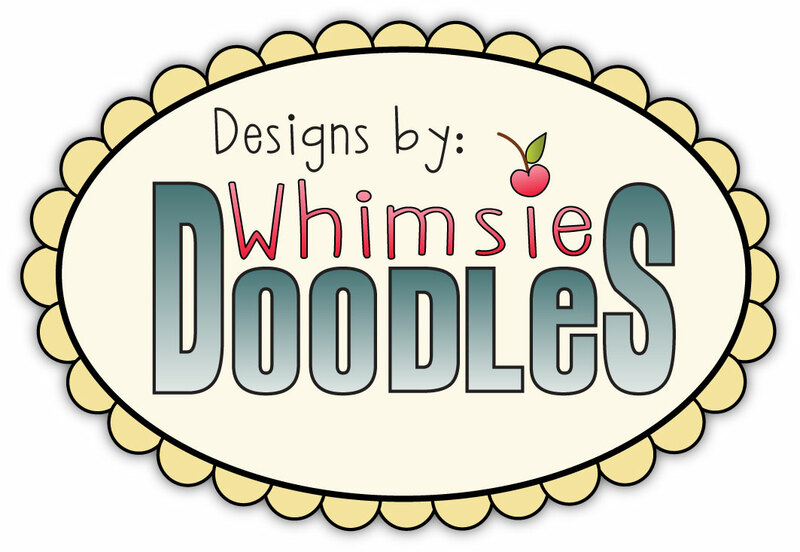 To be eligible for the giveaway, create a card or project using the sketch, and then go back to the TSG Blog to add your name and a link to your project in the InLinkz that is located at the bottom of the challenge post. This challenge is open until the winner has been announced on the following Monday (September 3rd). The winner will get a $5 gift certificate to use in the TSG Web store! You do not need to have a blog to be able to participate in the TSG Challenges! You can simply add the URL link from your project after it has been uploaded to your online craft gallery. 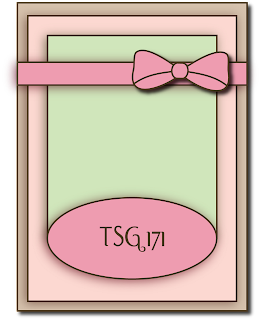 If you upload your card to an online craft gallery, please use the keyword TSG171 so we can check out your beautiful work! It's final day of the TSG sneak peeks! Today's set is a moving themed set, which we think will help to ease the pain of moving just a little! Most people do NOT like to move, and this cute set has an image and sentiment for every occasion, whether you be the one moving, or if you are sending one to a friend or family member. With a major transition such as moving, a hand stamped greeting is JUST the thing to say goodbye, hello, or just a plain welcome to the neighborhood….and there’s a DOG!!!! On the Move is a 6x8 set that includes a total of 22 stamps and will sell for $24.00. Arrows have recently been popping up here and there in the paper crafting world, right? I thought an arrow would go well with moving theme, so I made an arrow shaped banner, stamped the sentiment and added some dashed line with a white gel pen. Hummmm... now I need some arrow dies!! 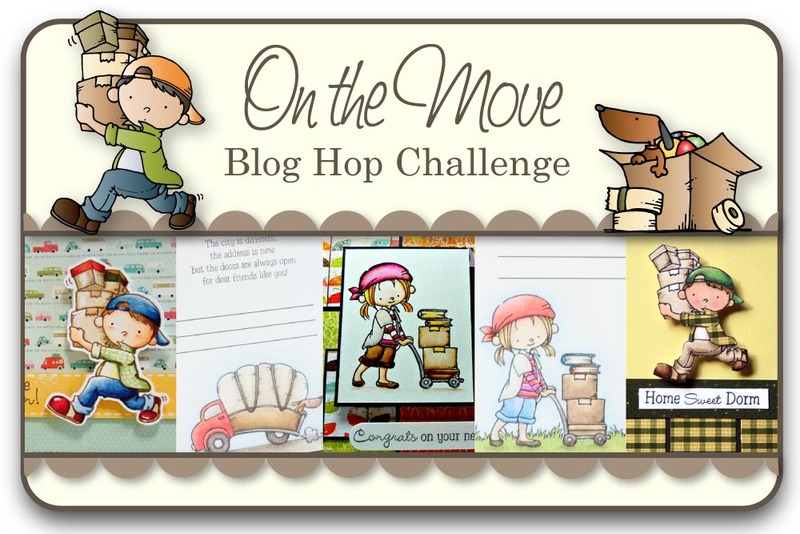 Would you like to win the new On the Move stamp set? It's Day3 of this month's TSG Sneak peeks. The stamp set we are showing you today is Enjoy Life - By the Sea! Would you like to win the new Enjoy Life-By the Sea stamp set? blog and a winner will be picked using a random number generator from the comments left on that Trendsetter’s Blog Hop Challenge post. be open until 5 PM Eastern Time Saturday, August 25th with the winner being announced during the release party chat. Hi everyone! 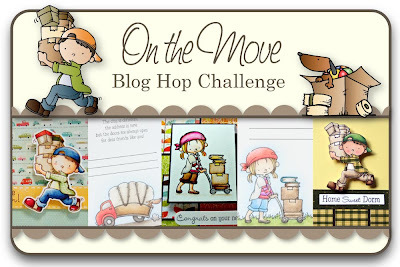 Welcome to Day2 of this month's TSG Blog Hope Challenges! Before showing you today's set, Swing Big, I'd like to say a big thank you to Kim O'Connell. The original idea for this set came from her, and she gave me some great inspirations while I was designing. I'm sure that I couldn't do this set without her! 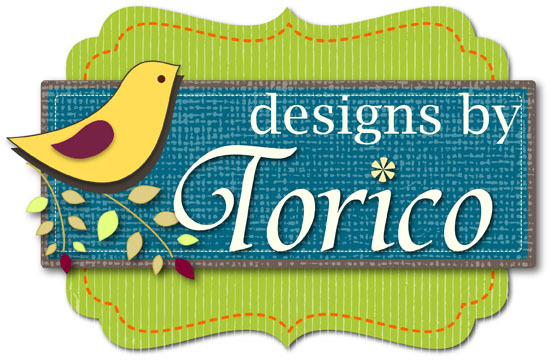 America’s favorite past time has been brought to life with Torico’s style, and cutesy whimsical characters!! For the baseball enthusiast to the mom/dad yelling in the stands, this set is PERFECT for the baseball lover in your life! Can you imagine the scrapbooking possibilities! 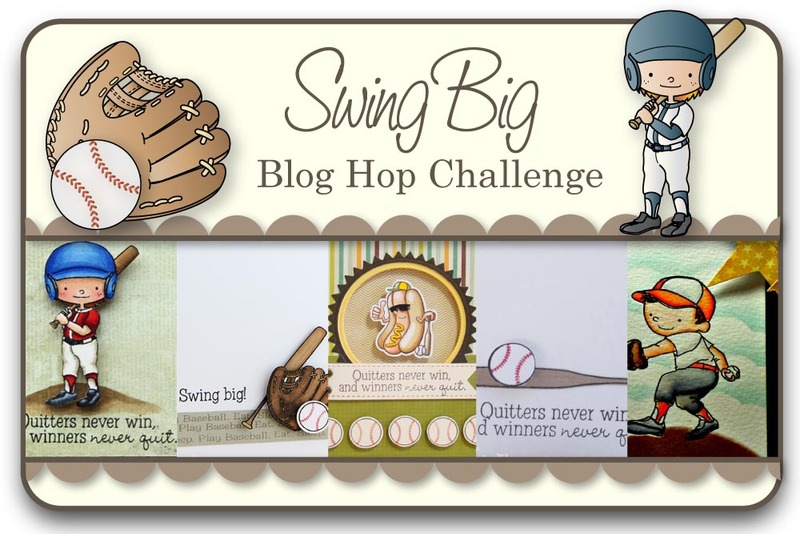 Swing Big is a 4x6 set that includes a total of 16 stamps and will sell for $15.00. Would you like to win the new Swing Big stamp set? Welcome to Day1 of this month's TSG sneak peeks!! Our favorite new animal at There She Goes is the Donkey, and this month Melyssa has found great new ways for us to dress up our Donkey however we see fit. With his super cute tee shirt, and several sayings, you can send Donkey to the University, or just let everyone know what a STUD he is!! We hope you love this set as much as WE do, because believe me, we are in LOVE!! Donkey University is a 4x4 set that includes a total of 13 stamps and will sell for $10.00. I did paper piecing for his T-shirt. The saying, "Normal is boring", was stamped with VersaMark ink and was heat embossed with white EP. To match with the saying, I colored his hair in purple and added some diamond stickles. lol! Would you like to win the new Donkey University stamp set? Anyway, I have a card to share with you today! And today, we are showing you a new card/project using one of these sets. For my card, I used Believe in You. Please head over to the TSG blog to see what the other Trendsetters have created for today! I'm sure that it will be a great weekend for me, and I hope yours is wonderful too!! 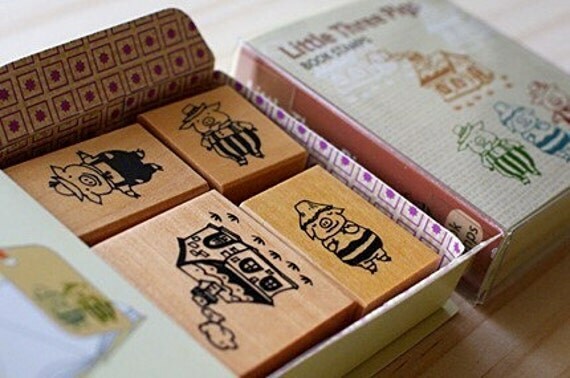 I went to a local craft shop with my daughter last week and bought two rubber stamp sets which are from a Japanese stamp company, Kodomo-no-kao. 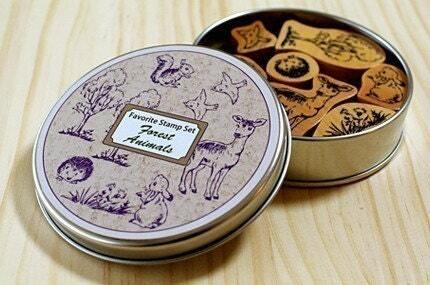 I usually prefer clear stamps to rubber stamps, but I couldn't resist these cuties!! I created a quick card using Forest Animals set. The sentiment was from Daydreamer set (PTI). This weeks challenge over at the TSG blog is brought to us by Sandra. She is challenging us to make a card or project using a sentiment as the main focal of your project! For my card I used two sentiment stamps from BombDiggity. My inspiration for the layout was from Retro Sketches #23. To be eligible for the giveaway, create a card or project using this week’s challenge and then go back to the TSG Blog to add your name and a link to your project in the InLinkz that is located at the bottom of the challenge post. This challenge is open until the winner has been announced on the following Monday (August 13th). The winner will get a $5 gift certificate to use in the TSG Web store! You do not need to have a blog to be able to participate in the TSG Challenges! You can simply add the URL link from your project after it has been uploaded to your online craft gallery. If you upload your card to an online craft gallery, please use the keyword TSG168 so we can check out your beautiful work! Happy Monday everyone! I hope you all had a wonderful weekend. It has been almost a week since I posted here last time. I don't want to say this, but my recent life has been so busy that my creative mojo is down...:( But last night, I managed to make a quick card using this week's sketch from Sketchbook Saturday Challenge (SSC71). As you see, I turned the sketch upside down. :P The stamp set I used was Bugs & Hisses from TSG.